Story by Bill Bell from the SCCA News page. Jean-Luc Liverato, of Alpharetta, Ga., was third overall and first in DSR driving a Stohr WF1. Liverato also set a new DSR record at The Glen, turning a 1:51.311. William Goldkind, of Holbrook, N.Y., took the CSR win in a Viking and David Dullum, of Falls Church, Va., was the S2000 victor in a Lola. WATKINS GLEN, N.Y. (July 17, 2007) – The 59th running of the Glen Nationals, dating back to the original street races in 1949, attracted 320 competitors to the 2007 edition, presented by the Finger Lakes Region Sports Car Club of America. Some of the best national drivers, from Maine to Florida and parts of the Midwest, came to test their skills at one of the most famous and historic road courses in the United States. Saturday was devoted to practice and qualifying sessions for each of the seven race groups. Following practice and qualifying, an open Town Hall meeting was held with SCCA President Jim Julow and local directors Brian Holtz and John Sheridan, and the evening concluded with a picnic supper for all participants. Race Three was composed of Formula Atlantic, D Sport Racing, C Sports Racing, F 1000 (FB), Formula Continental, S2000, and Formula Mazda. The start was delayed by two extra pace laps due to slippery course conditions. On Lap Five, a full-course yellow was called for four laps, and green flag racing resumed on Lap Nine. At the finish, it was two Formula Atlantics in first and second position; Paul Lecain, of Dandown, N.H, driving a Ralt Toyota in front, followed by Ahsen Yelkin, of Austintown, Ohio. Polesitter and third in FA, Hans Peter, of Overland Park, Kan., set a new FA track record of 1:45.074, after being held in the pits and starting the race from dead last. Jeremy Hill, of Toronto, Ont., won FB in a Photon VD, setting an FB track record of 1:54.621 in the process. In FM, it was Jeremy Grenier, of Point of Rocks, Md., and FC was won by Mauro Fauza, of Auburn Hills, Mich., in a Van Diemen. Justin Hoffman, of Herndon, Va., took the FE victory in a Van Diemen and set a lap record of 1:59.171. Forty-three Spec Racer Fords took the green at the start of Race Two. Lee Hill was the early leader followed by Mark Eaton. Hill took over the point on Lap six, but one lap later, Herb Sweeney, Jr., took the lead with Hill now back in fourth position. Lap nine saw a new leader, Mick Robinson, followed by Derek Defonce and Eaton. This held through four laps of full-course yellow. At the finish, it was Eaton, of Eau Gallie, Fla., Defonce, of New Preston, Conn., and Robinson, of Melbourne, Fla.
Story by Bruce Dover from the SCCA News page. BLOOMINGDALE, Ga. (July 3 , 2007) - The racing at Roebling Road Raceway for the Lou Ella Cook Memorial 27th Annual SEDiv Double National was as hot as the weather. Twelve track records were set over the course of the weekend at the 2.02-mile road course just outside of Savannah, Ga. Obviously, the re-paving done over the winter agrees with the track and racers. Luckily, those infamous late afternoon thunderstorms, so prevalent in Georgia in the summertime, held off until after the racing was done on both days. After an early lead by polesitter Dorian Foyil, of Nassau, Bahamas, the D Sports Racing car of Jean-Luc Liverato of Alpharetta, Ga., and the Formula Atlantic of Canadian Jacek Mucha swapped the lead until Liverato took it for good on lap seven, going on to win the DSR class by 20.717 seconds over Foyil and setting a new DSR class record of 1:04.466. Mucha took the Formula Atlantic win over Ben Johnson by 6.724 seconds. Jim Downing of Atlanta, Ga., took the C Sports Racing win and Ken Tyrell, of Tallahassee, Fla., won FB and set a new FB class record of 1:08.603. In Formula Mazda, defending National Champion James Goughary, of Jupiter, Fla., won over David Donovan by 2.795 seconds. A group of Florida drivers put on quite the show in the Spec Racer Ford race. Mark Eaton, Brian Schofield and Nathan Offutt swapped the lead seemingly every lap. On lap eight, Eaton took the lead for good, but the battle behind him never let up. Schofield and Offutt were eventually joined by Jordon Gore and Andrew Charbonneau. Each of them ran in second place at one time or another during the remainder of the race, with Schofield ending up on the second step of the podium, 9.733 seconds behind Eaton, but only 0.280 seconds ahead of Gore, who was only 0.173 seconds ahead of Charbonneau. Saturday’s winner, Jean-Luc Liverato, dropped out after only six laps, making life much easier for Dorian Foyil, who won the D Sports Racing competition by a minute. In Formula Atlantic, Jacek Mucha won again over Ben Johnson, this time by 46.799 seconds. There may have been only two C Sports Racers running, but they had one heck of a battle. John Zuccarelli III managed to take the lead from Jim Downing early, but when they got into lapped traffic on lap nine, Downing was able to regain the lead and hold off Zuccarelli for the win by 7.584 seconds. Formula Mazda win was again taken by James Goughary over David Donovan by 3.838 seconds. Once again, the Spec Racer Ford race offered the most excitement of the day. Mark Eaton, Matthew Inge, Mick Robinson, Jordan Gore, Nathan Offutt, Brian Schofield and Andrew Charbonneau all contributed to an outstanding race. Eaton took the lead from Robinson on lap two, but then dropped out on the following lap, allowing Robinson to take over. On lap four, Inge took the lead again, but four laps later Offutt was out in front. Offutt then dropped back to fourth as Schofield slipped into the lead on lap 10. Charbonneau slowly worked his way to the front from a ninth-place start and took the lead on lap 14. He was able to hold the lead until lap 20 when Schofield snatched the lead again. It was all Schofield could do to keep Charbonneau behind him and squeak out a win by just 0.077-second! Story by SCCA Staff writers from the SCCA News page. Defending Triple Crown® winner Hans Peter, of Overland Park, Kansas, took a dominating win in C Sports Racing and overall at the 52nd Annual Chicago Region SCCA June Sprints, after early overall and DSR leader J.R. Osborne, of Centennial, Colorado, was sidelined with mechanical problems. Peter is well on his way to a second-straight Triple Crown, currently holding a substantial lead in his Divisional point race in addition to the Sprints win. When Osborn retired, it gave the D Sports Racing class lead to Jean-Luc Liverato, of Alpharetta, Ga. Liverato held off Dorian Foyil to take the DSR win, second overall, in his Stohr WF1. Local driver Bart Wolf, of Elkhart Lake, Wis., dogged defending Triple Crown winner Mark Mercer for much of the race before Mercer pulled off with a mechanical problem with two laps remaining, giving the Sports 2000 class win to Wolf. ELKHART LAKE, Wis. – Top five race results from Sunday’s final six races at the Piggly Wiggly 52nd Annual Chicago Region SCCA June Sprints at Road America with finishing position, starting position in parenthesis, driver, hometown, car and laps complete. Race course is 4.0 miles in length. 1, (1), Hans Peter, Overland Park, Kan., Swift Viking, 13. 2, (3), Matt Downs, North Mankato, Minn., Elan L1, 13. 3, (4), Jeff Miller, Elkhart Lake, Wis., WynnFurst, 13. 4, (8), Ken Davis, Escondido, Calif., Ralt RT-40 Viking, 13. 5, (6), William Goldkind, Holbrook, N.Y., Viking Toyota, 13. Time of Race: 28 minutes, 3.426 seconds. 1, (2), Jean-Luc Liverato, Alpharetta, Ga., Stohr WF1, 13. 2, (4), Dorian Foyil, Nassau, Bahamas, Stohr WF1, 13. 3, (3), Chris Farrell, Salt Lake City, Utah, Stohr WF1, 13. 4, (5), Michael Reupert, Hubertus, Wis., Lola AMW, 13. 5, (7), Tim Micklos, Salt Lake City, Utah, Stohr WF1, 13. 1, (2), Bart Wolf, Elkhart Lake, Wis., Carbir, 12. 2, (5), Michael Bautz, Mach. Park, Ill., Lola, 12. 3, (4), David Ferguson, Sunnyvale, Calif., Van Diemen, 12. 4, (6), Tony Sleath, Dearborn, Mich., Carbir, 12. 5, (10), Nick Mancuso, Lake Bluff, Ill., Lola, 12. 1, (4), Brian Schofield, Lakeland, Fla., Spec Racer Ford, 13. 2, (3), Lee Fleming, Lake Forest, Calif., Spec Racer Ford, 13. 3, (6), Mike Miserendino, Los Angeles, Calif., Spec Racer Ford, 13. 4, (1), Jeff Beck, Ingleside, Ill., Spec Racer Ford, 13. 5, (8), Cliff White, Vail, Colo., Spec Racer Ford, 13. DSR was the sixth most entered class (with 90 entries) in 18 National races held in 2007, through the end of March, for an average of 5.00 entries per race. Data was posted today for the number of National race entries for each class across the United States. CSR ended the period in eleventh place with 69 entries (3.83 entries/race), while S2000 was in 25th place (29 entries, 1.55 entries/race) out of 30 total National classes. You can click on the thumbnail image above right to see a larger version, or you can go to the SCCA's pdf file. 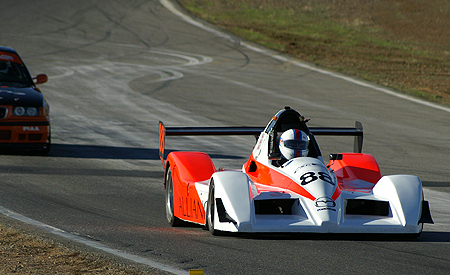 After qualifying second overall, the 2005 Mazda-powered Sport Racer of Alliance Financial/CSR Performance finished first in class and third overall at the forth annual NASA 25 Hours of Thunderhill at Willows, California. At the eight-hour milepost, approximately one-third the distance, the Alliance Financial Mazda sports racer was heavily pressuring one of the two Car and Driver BMW 335 turbodiesels, after making a comeback from a lengthy stop for mechanical repairs. A second hand report said that "the team was running a Drummond build Mazda RX-8 Renesis engine", and that the team was "in 2nd place until they sheared off the CV bolts at the gearbox. It took them about 20 minutes to repair." After the long repair stop early in the race, the Alliance Financial Mazda ran consistently fast even with numerous minor problems and come on strong at the end, winding up just only two laps shy of the previous race record. 56 cars took the green flag with some 48 cars (of 56 starters) running at the finish. The Alliance Financial Mazda-powered sports racer was the second-fastest car on the track, which despite niggling problems, allowed the team to finish with a very strong third place overall finish. 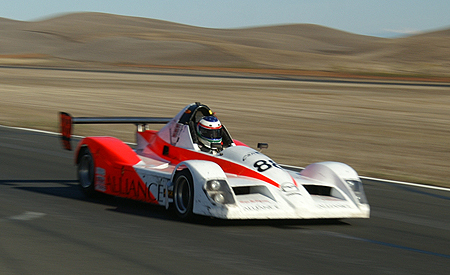 The 2005 Mazda-powered Sport Racer of Alliance Financial/CSR Performance qualified second overall, and first in its class, for the 2006 version of the NASA's 25 Hours of Thunderhill at Willows, California. Last year’s early race leader is back for a second try after mechanical problems took it out of contention last year. Only a second back of the pole winning O'Connell 2004 Porsche 911 GT3 is the Mazda-powered sports-racer fielded by the Alliance Financial team from Palo Alto, California. Unlike the O'Connell Porsche, this is a purpose-built race car with an open cockpit, plastic bodywork, and very low curb weight. The problem with cars answering this description in years past has been reliability, but the Alliance team members naturally hope that their car will be different in this respect. Glenn Cooper drove to a dominating victory in the ASR class at during the 2006 American Road Race of Champions event at Road Atlanta. Cooper lead the field from the green flag and for the entire race, finishing first overall in the race group. Cooper, and his borrowed Swift Viking DB4, qualified 1st in ASR with a pole time of 1:25.165. Jean-Luc Liverato traded his former Radical for a Elan/Van Diemen DP02 and was 2nd on the grid with a 1:25.687 lap. Third in the ASR class was David Obenauer in a Radical Prosport with a 1:29.081 lap. In the race, Cooper's best lap was a 1:25.823, while Liverato managed a 1:26.855 best lap during the 20 lap event. Unfortunately, Obenauer dropped out after 13 laps after turning a best lap of 1:27.960. Jean-Luc Liverato also competed in the ASR class, with his Elan/Van Diemen DP02, in the Group 10 Pro Shootout. He was the only ASR which participated. He qualified on pole for the entire race group with a 1:25.349 lap. He stayed in front of the pack and finished first overall, turing a 1:26.295 best enroute to his win. After laying dormant for 20+ years, the American Road Race of Champions moniker was revived by Road Atlanta and the Atlanta Region SCCA in 1994. This time around, the race would feature the regional-only classes not invited to the National Runoffs: Improved Touring, Club Ford, Club Sports 2000, A Sedan and Formula Mazda (before both of the latter became National classes). Articel by Erin Cechal. Photo provided by Weber. Mark Jaremko, of Spokane, Wash., blew away the rest of the D Sports Racing field at Heartland Park Topeka to claim D Sports Racing crown number four at the 2006 SCCA National Championship Runoffs. John Bender, of Vancouver, Wash., and Dorian Foyil, of Nassau, Bahamas, completed the podium. Polesitter J.R. Osborne, of Centennial, Colo., looked like the man to beat as his No. 83 Equinox Group/Farcon Stohr WF1 took the lead into Turn One, but Jaremko’s No. 2 Goodyear/Redline Oil Stohr WF1-BPS quickly slid by Osborne on the following corner. Osborne didn’t even have a chance to challenge Jaremko, as he pulled into the pits on lap two with mechanical issues. After only three laps, Jaremko had more than seven seconds on the No. 11 West Race Cars West WR 1000 of Bender in second-place. That gap was erased when a car stuck off course brought out the full-course yellow on lap five. Nothing could stop the Jaremko show however, and when the green flag waved for the restart, the former DSR champion resumed his dominant pace, averaging 75.551 mph around the 2.5-mile track. Behind Jaremko, Bender’s runner-up position came under threat in the closing laps, when traffic came into play and allowed the No. 81 Stohr WF1 of Foyil to get within striking distance. Foyil was unable to capitalize and Bender held on to the second spot. Steve Shelton, of Fort Lauderdale, Fla., and Mark White, of Waunakee, Wis., finished-out the top five. Michael Reupert, of Hubertus, Wis., won the Sunoco Hard Charger Award for advancing 12 positions during the race, from 20th to eighth. Articel by Adam Horn. Photo provided by Steflik. Mark Mercer and his Lola 90/91 captured his first Sports 2000 National Championship in the late stages of the race at the SCCA National Championship Runoffs. John Fergus, of Powell, Ohio, and Bart Wolf, of Elkhart Lake, Wis., finished second and third, respectively. The start of the race was waved off twice by the starter, but when the green flag dropped DiRenzo rocketed his No. 27 Terpsteo/Goodyear JRE SR-71 F to nearly a three-second lead by the end of the first lap. At the time, it appeared that DiRenzo had the race well in hand, opening up a five and a half second lead by lap seven. But, as the laps ticked by, Mercer continued to chase down DiRenzo cutting the lead down to less than a second by lap 13 of the 18-lap race. By lap 15, Mercer’s No. 06 Hoosier Tires Lola 91/90 was filling DiRenzo’s mirrors at every turn and finally made the pass on DiRenzo coming out of Turn 14 on lap 16. Just prior to the pass, it appeared that DiRenzo’s machine was experiencing mechanical problems and he pulled into pit lane. Once in the lead, Mercer put it on cruise control for the remaining two laps, winning by 11.873-seconds (at an average speed of 81.983 mph) over the Fergus’ No. 00 Hoosier Tires/The Fergus Companies Carbir CS2. “I’ve been sick all week,” Mercer said. “I did not run Wednesday or Thursday and I slept until noon today and I felt a lot better this afternoon. I was pretty nervous and I did not know what the start was going to be like. I didn’t know what Matt [DiRenzo] was going to be like and the tires were a big question. We went with the harder tires and Matt went with the softer tires. Mark Hardymon, of Delaware, Ohio, finished fourth in his No. 54 Elite Fab/Hoosier Tires CS2, while Marc Walker, of Oldsmar, Fla., brought his No. 1 Comprent Motorsports Fox-Lola 01-03C home fifth. Darryl Shoff, of Reading, Pa., won the Sunoco Hard Charger of the race award for advancing four positions throughout the race, starting 12th and finishing eighth. Hans Peters claimed the SCCA's CSR National Championship this morning in his Swift 014 Viking after taking the pole in last chance qualifying yesterday. Under sunny sky and 6 MPH winds, but 36 degree temperature, Peters had a seamingly comfortable win at the Heartland Park Topeka track. He took the lead on lap 5, and later allowed the gap to second place to reduce to 1.8 seconds at the checkered flag. Peters turned a 1:32.449 fastest lap early in the race, compared to his best qualifying time of 1:31.996. Mark Jaremko in his "DSR spec" Stohr WF1-BPS followed Peters across the finish line in second, turnig a best lap of 1:33.324 compared to his qual time of 1:33.222. He had started the race in third. Jaremko will now use the same car to lead the DSR race on Sunday from pole position. After taking the lead in turn one of the start and leading the first three laps, Wade Carter in his Swift 008 Viking dropped back to forth after spinning on lap 4 at the exit of turn nine, going off course. He then recovered to repass Jacobson on lap 12 for the last position on the podium. Carter set the fastest lap of the race 1:33.091, early on lap 2, then later cranked off a few more 1:33s while recaturing the third spot. He finished 28.7 seconds behind the leader. Kerry Jacobsen in a Panoz Elan Dp02 finished in forth, with a best time of 1:35.654 set on lap 8, after starting seventh. Jacobs had set the forth fasted lap time in qualifying, but had times disallowed due to fuel irregularities in Qual 3, and a 3 position grid penalty for passing under a yellow flag. In the race, Jacobs was 14 seconds behind third place at the finish. His best qualifying effort was a 1:34.517 lap. Jim Downing and his Ralt RT41-JMS rounded out the top five, after starting in the sixth spot. Downing turned a 1:39.208 best lap en route to his fifth place finish, bettering his 1:40.850 qualifying time. Downing was down one lap to the race leader Peters. 8:49:24am / 00 / The weather conditions at Heartland Park Topeka are sunny and 36 degrees, with winds out of the west at 6 mph. 8:56:51am / 01 / #74 Wade Carter takes the lead in turn one. 9:03:37am / 01 / #74 Carter leads, followed by # 2 Jarmeko. 9:04:13am / 02 / The top five are #74 Carter, followed by #2 Mark Jarmeko, #66 Hans Peter, #64 Ken Davis, and #38 Kerry Jacobsen. 9:05:53am / 02 / #64 Davis, who was running fourth is off course at Turn 8, car has some damage. 9:06:44am / 03 / #74 Carter continues to lead. 9:08:00am / 04 / #66 Peter passes #74 Carter in Turn Six for the lead. 9:09:08am / 04 / #74 Carter spins exiting Turn Nine and is off course. 9:09:47am / 05 / #66 Peter has the lead. 9:10:26am / 07 / Top five are #66 Peter, with a 4.677-second lead over #2 Jaremko, followed by #38 Jacobsen, #74 Carter and #6 Downing. 9:16:13am / 09 / #66 Peter has opened up a 7.244-second lead over #2 Jaremko, followed by #38 Jacobsen, #74 Carter and #6 Downing. 9:18:39am / 10 / #66 Peter continues to widen his lead over #2 Jaremko. 9:19:41am / 11 / #66 Peter leads #2 Jaremko by 7.379-seconds, followed by #38 Jacobsen, #74 Carter and #6 Downing. 9:21:51am / 12 / #74 Carter passes #38 Jacobsen for third. 9:23:01am / 12 / The top five are #66 Peter, followed by #2 Jaremko, #74 Carter, #38 Jacobsen and #6 Downing. 9:23:38am / 13 / #66 Peter leads by #2 Jaremko by 7.490-seconds. 9:24:35am / 14 / #66 Peter leads #2 Jaremko by 5.704-seconds with four laps remaining. 9:25:51am / 14 / #2 Jaremko was more than two seconds faster than #66 Peter on the last lap. 9:26:42am / 15 / The top five are #66 Peter, followed by #2 Jaremko, #74 Carter, #38 Jacobsen and #6 Downing. 9:28:21am / 16 / #2 Jaremko was nearly 3.5-seconds faster on the last lap than the race leader #66 Peter. 9:29:19am / 16 / #0 Miller is in pit lane. 9:30:22am / 16 / #0 Miller has a flat right front. 9:30:46am / 17 / #66 Peter leads #2 Jaremko by 3.173-seconds on the final lap. 9:31:17am / 18 / Checkered Flag for #66 Peter, who wins by 1.826-seconds over #2 Jaremko, followed by #74 Carter, #38 Jacobsen and #6 Downing. 9:33:16am / 18 / This is Hans Peter, of Overland Park, Kan., first SCCA National Championship. Tommy Saunders of Southlake, Texas, took his turn at the top after teammte Stuart Lumpkin of McKinney, Texas, took the championship in 2005. Saunder finished the final day of competition, at the 34th Tire Rack SCCA Solo Nationals, where he started it, right at the top of the 16 car B modified entry list. Saunder and Lumpkins again shared seat time in their 2006 Dragon FartFire. Saunders had a combined time of 93.359 seconds, 1.186 seconds ahead of Lumpkin who had a combined time of 94.545. Finishing in third was Evan Brauch in a 1998 Omni Fab Cheetah SR1. Brauch's combined time of 94.927 seconds was only 0.382 of a second behind second place Lumpkin. With a final time of 97.347 second, Bruce Domeck claimed forth in his 1982 Ralt RT-4, 2.420 seconds behind Brauch. Taking the final trophy in fifth position was Bob Sonntag in his 1979 LeGrand Mk25. Sonntag's combined time was 98.259 seconds, 0.912 of a second out of the forth spot. Jeremy Miller, driving a Suzuki Hayabusa powered first generation Stohr CSR, was crowned the 2006 National Champion in the Super Unlimited class by the Nastional Auto Sport Association. Miller's bright yellow sports racer circled the Mid-Ohio track at the front in the two qualifying races on Friday and Saturday, earning the pole position for Sunday's main race. Miller's best time in the race, run with the chicane between turn one and the keyhole, was a 1:31.161 lap. He battled a Competition Viper and a Porsche for the pole and overall win on each of the three race days, but was under little pressure for the final race win. Jeremy has been running with NASA for a few years in a Porsche 993 and bought his Stohr CSR about a year ago. He runs an unmodified stock Suzuki engine becasue it's fast enough for now. He's located on the east coast and would like to see more sports racers to come race with him at NASA events. Group D race results (pdf file). Edward Hessel, driving a 2.3 liter Oldsmobile Quad 4 powered Shannon PS94 CSR, was crowned the 2006 National Champion in the Time Trial-Race class by the Nastional Auto Sport Association. In a best of six timed session format (two sessoins per day), Edward laid down the gauntlet with a lap time of 1:35.050 during the afternoon session on Friday. Fortunately, this lap time held up through the final two timed sessions on Saturday, as the input shaft broke on Edward's transmission during the morning practice on Saturday. 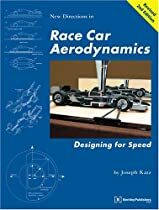 After deciding to venture away from racing his Porsche 993, Edward bought the Shannon and entered NASA Time Trails in 2006 to "learn the car both driving and mechanically." In the TT-R class, he has competed against high powered Corvettes (including a Speedvision one), a 500+ bhp AWD Mitsubishi Evo 8s, an American Stock Car Monte Carlo, and 997 Cup Porsches. In 2007, Edward looks forward to racing his Shannon, wheel to wheel, and attending the "30 Years of S2000" event. NASA TT is an automobile road course series which provides a venue for spirited on-track competition with a high degree of both safety and convenience. NASA TT allows qualified individuals to compete in a "best lap time" format in a prepared car in advanced level open-passing sessions, and bridges the gap between HPDE 4 and wheel to wheel racing. The TTR class is designated as a truly unlimited racecar class. It is intended for purpose built, tube frame, never street legal, and very high-end modified streetcars with a low weight/hp ratio. Modifications are completely unlimited, although open wheel cars are not legal. Group I - TTA/TTC/TTR/TTU Results (pdf file). After running lap times a tenth of a second apart, Hans Peter in a Swift Swan finished ahead of Brian French and his Ralt RT41 conversion to claim the C Sports Racer top step. The SCCA premier National Race at Road America was run under sunny skys. John Hill, driving a Stohr WF1, qualified on the D Sports Racer pole and stayed in front of Dorian Foyil in a similar car, and easily took the checkered flag first in DSR, and third overall with Foyil forth overall. With recent repaving of the racing surface, track records were broken in CSR, DSR, and S2000, amoung many other classes as well. Joining Peter and French on the CSR podium (the photo on the right above) in the thrid spot was five time National Champion Jeff Miller who ran his Wynnfurst CSR. Forth place in CSR went to Bill Goldkind-Viking CS12, followed by James Ferro-Elan DP02, Jim Christian, Don Yount-Radical Prosport, Mike McGinley-Radical SR4, and Michael Tracy-Radical SR3. Jacek Mucha-Ralt JMS qualified well but completed only 4 laps, as well as Andrew Voruz-Swift DB2 who dropped out after 2 laps. Filling out the DSR podium (the photo on the left above) was Michael Reupert in his Lola AMW posting a best lap equal to that of Foyil in his 2006 Stohr rocket. Jason Miller finished forth in his Wynnfurst, followed by Mark White-West WR1000, Dave Knaack-Fastercar MK1, James Boehm-AMac BRM, Richard Colburn-Phoenix, and David Gomberg-Cheetah SR1. Completing less than half distance were William Ironside-Speads RS04 (5 laps), Joel Weinberger-Stohr WF1 (3 laps), and Glenn Cooper-Speads RS05 (0 laps). In Sports 2000, Mark Mercer-Lola 91 took top honors ahead of Bart Wolf-Carbir CS2 in second, and Michael Bautz-Lola T90 in third. John Hill dominated the seond race of the Pacific SPorts Racer Series with his Stohr WF1, winning DSR and easily estalishing a new DSR track record for Thunderhill Raceway, California. Roger Nuttall in his converted Carbir S2000 car took the top spot in CSR. John Hill used his Stohr WF1/Yamaha R1 to claim the overall pole for the combined formula and sports racer group by half a second faster than the top Formula Atlantic car. Hill then rocketed away from the start and both of the subsequent pace car restarts. Near the end he end of the race, he backed off his pace after hearing noices. John let two formula Atlantic car by and finished third overall. Kevin Mitz qualified his Cheetah/Suzuki GSXR second in DSR, 5 seconds behind Hill's single lap flyier, but wanted to make the race interesting. After focusing on making sure his customer RennWorks cars were ready, Kevin got to the grid after the other cars had already started leaving. So, he started the race at the back. A great start and two pace car periods helped Kevin move to the front, where he regained his second place for the finish. Frank Lattuca Jr. qualified and finished thrid in his Beasley/Honda. Following in DSR were Ellen Ferguson (Stohr/Yamaha R1), Andy Juner (A-mac/Suzuki), Robert Fox (Fox/Suzuki), John Howarth (Maloy/Yamaha), and Rod Morley (Stohr/Suzuki). Roger Nuttall qualified first in CSR and 18th overall, and went on to win CSR in the 10th overall position. Following in CSR at the finish were Renny Damon (Stohr), Rennie Clayton (Zink), Lance Watkins (Swift), and Charlie Kulmann (Ralt). Saturday's race at Phoenix, AZ, started with a little contact in the first turn between DSR drivers Mark Bakhit and Larry Vollum. Both spun, with Friday's third place finisher , Vollum, getting going again at the back of the field. Larry made a great charge back through the field, finally getting by Kevin Mitz for the DSR win. Kevin had his Cheetah flying, but his top speed wasn't enough for Larry's Stohr. It was believed that Harvey had engine trouble in the race. Wade Carter won CSR again, with Rick Lee not far behind. On behalf of the sponsors of the PSR Series, I want to thank all 15 drivers who made the trip to Phoenix. With Matt's accident, and the event compressed into one day, we had a challenging start. I think all the Tow Fund checks were distributed at the event. More sponsors are coming forward, and the next race at Thunderhill will be bigger and better! Homestead is basically the Phoenix (PIR) road course on steroids. It is about 25% longer, 50% safer, a whole lot faster, and there is not another track in the world as smooth and as well maintained. And, SCCA got to use NASCAR turns 3 & 4 for the first time, which made it really fun. Really a great place to race! Unfortunately the Sports Racers decided not to go racing this weekend as the entire grid was 8 cars (pathetic). Sebring was down by 25%, and now Homestead doesn't even get enough D's to make the "3.5 rule". What's going on? The track is a quick study because it's a simple configuration ("horsepower track"). I tested and got "quick" immediately and never could improve through the weekend. By the end of the test day the fuel pickup in the fuel cell was failing and it finally fell off at lap 1.5 in the race (of course.) My race ended on lap 2 with a permanent loss of fuel pressure. Roger Cook is still stuck with a terrible run of bad luck as he lost a valve during the start of the test day. He and Ben tried all weekend to get my fuel starvation issue resolved but between contaminated gas (alcohol?) and the pick up everyone was pretty frustrated by the end of the weekend. Hopefully Roger will get rid of the curse before Savannah. Dario [Dorian] won the race and went extremely fast during the race and did a great job in his Stohr. I had hoped for a good race, but even if I had the chance to run hard, Dario was "The Man" for this race. If you get a chance, you have to race this track! All the track people were very cooperative and nice. The 2004 National Championship winning cars in CSR & DSR were piloted to easy wins at the first race of the Double National at Phoenix, AZ. 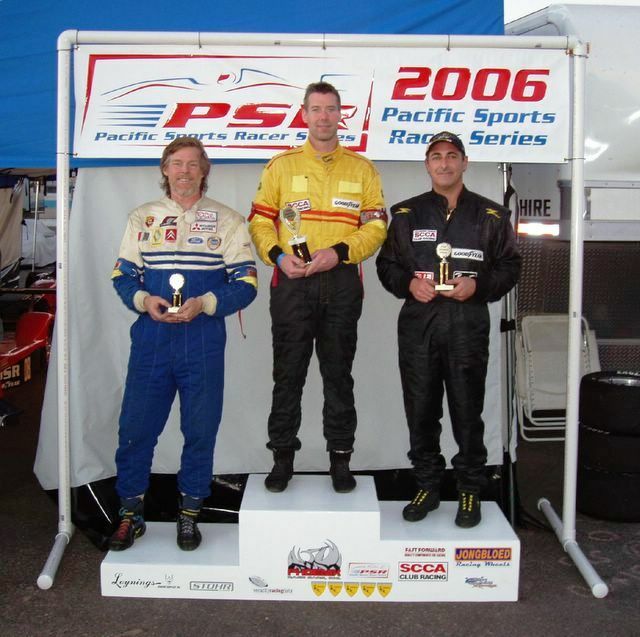 The race was also the first event in the 2006 Pacific Sports Racer Series. Rick Lee and Wade Carter battled together in their Swift Vikings for most of the race for the CSR and overall win. Rick had a problem and lost a couple laps in the pits. Wade won by 7 seconds ahead of John Hill in the new Stohr WF1 DSR. John and Wade lapped the entire field. Kevin Mitz moved into second early on in his Cheetah. Kevin was flying today, he turned a 59.5. Unfortunately, some fuel pickup problems dropped him back later. A big battle ensued between Mark Bakhit and Larry Vollum. Larry is from Portland, and has a first generation Stohr updated with the latest WF1 tunnels. Mark did a good job of making his car 'wide' and Larry didn't quite make it past. They finished second and third in DSR. Paul Marciano of PM Motorsports in Phoenix, took 2nd in CSR in a Phoenix chassis. Ken Davis took 3rd in CSR in a Zetec engined Lola S2. Read more details in this topic on the sports racer forum. Photos from the event here and here. The weekend started badly when Matt Conrad crashed his Phoenix coming off the banking. It was reported that his brake pedal went to the floor. It was also reported that an a-arm barely missed his legs. Matt was taken to the hospital but was fine. Matt put in a lot of effort organizing the first race of the 2006 Pacific Sports Racer Series. "2nd session of the day and just getting a few warm-up laps in before I start to click some good one's off. Down the front straightaway in sixth gear, probably 135mph and find no brake pedal.....and I mean pedal on the floor....not good. I know I have the oval off to my right to work with but I need to be smooth getting across the grass strip between the infield course and the main track, but a white Stohr is in front of me and he has brakes so he's slowing. I clip his right rear with my left front and it's "blue sky" time. Corner workers say many flips in the air before coming down wheels down. I only thought I went up and then came right back down on my wheels...don't know. Once I did come down I saw blue again....the unfriendly baby blue PIR wall....and I slammed into it very hard. I even thought before the hit that it was going to hurt bad. I hit at about a 45 degree angle and then the rear slapped the wall very hard as well. I did hit in an area where the SAFER barrier was installed. The safety workers needed about 20 minutes to get me out of the car because one of the right front a-arms penetrated the cockpit and pierced both of my pant legs, my right shoe and my right sock.....but miraculously not my legs. I do have two minor cracks in my ankle, but otherwise feel great. I was wearing a Hans and I firmly believe that it saved me from serious injury as I hit the wall brutally hard. I'm going to try to pull the data today to find out how many g's. The corner workers brought a pile of debris and said there were some carbon parts still imbedded in the wall. The body, floor, wing, chassis, engine, entire right side suspension, front crush box are gone and the car is literally destroyed." "Just got the data off of the car and unfortunately it looks like the power got cut off .101 seconds after impact. The highest g-force reading recorded was a -4.76. The speed at impact with the Stohr was 129.7 mph and the wall came calling 4.3 seconds later at 117 mph. The impact and the short flight didn't slow me much! After many discussions with witnesses it appears that I was correct in that the car did not flip in the air....I was airborne (hoorah for all of us ex-paratroopers), but a PIR employee (the guy who fixes the walls) witnessed the whole thing and he said I came right back down on the wheels. He also said the impact was heavy enough to dent the SAFER barrier but not break any of the welds or displace the foam. Another thing I learned is that the driver in the Stohr was trying to move over as he saw me coming up fast behind him. I couldn't figure out how I hit him because I thought I was clear of him. I don't hold him responsible in the least, he was trying to give me the low line into the corner....he didn't know I was in trouble. I really look forward to getting back out there as soon as I can. Hopefully the Double National at Firebird in March. Thanks to all of you who e-mailed and called with your concerns...I truly appreciate it! Cold and Florida - two words that rarely belong in the same sentence. But such was the case at the 2006 SCCA Sebring Winter Nationals. The thermometer consistently showed sub 40 degree temperatures most mornings, and even a little breeze to go with it. All frostbite aside, there was much excitement and fossil fuel in the air as the Southeast region kicked off the 2006 season. Who could think of a more fitting place to do so than the historic and wickedly fast Sebring International Raceway? Returning for the 2006 season at this event would be SE Division champion Rodger Cook in his Johnston SRP-1, top SE division runoffs finisher Steve Shelton, and Bohemian Dorian Foyil. With 14 DSR cars registered for the weekend, it was yet another solid turnout to kick off the New Year. After three days of testing and qualifying, it was the Stohr of Dorian Foyil sitting on the pole with a pair of Steve Sheltons (Sr. and Jr.) waiting in the wings. Last year’s winner, Rodger Cook, who would complete only a few laps due to mechanical issues, sat in 12th position on the grid. A late decision on Saturday moved the S2000 group over to join the DSRs for Sunday's race. While there were only 5 cars in the S2000 class, things became a little more interesting at the front of the field, as S2's now occupied 2 of the top 5 spots on the grid. Sunday morning at Sebring began pretty much like every other day did that week, cold. But sitting in the pre-grid, waiting for the morning hardship to start, another element of nature reared its ugly head, fog. While the paddock area seemed to offer fairly good visibility, other parts of the track were nearly impossible to see. Word had it that a controlled burn was being conducted nearby. Much to the dismay of nearly all of this weekend’s participants, both hardships were cancelled. This would prove to be costly for many teams. Shortly after the morning sessions were cancelled, Group 1 was called to grid, and the first green flag was dropped for the DSR/S2000 race. The weekend’s attrition began almost immediately with the start of the DSR race, as front row starter Steve Shelton dropped back immediately with engine troubles. A dangerous spin by Juan Montalvo Jr.'s Maloy ensued and sent cars through the Turn 2 dirt. As the dust settled and cars entered Turn 3, it was the pole sitter Dorian Foyil still in the lead position that he would never relinquish. A closely watching Steve Shelton Jr. spun mid-way through the race at the entrance of famous "Safety Pin" turn, leaving Foyil a clear path to the checkered. The relentless Rodger Cook charged hard through the field before retiring once again due to a mechanical failure. The Stohr of Steve Shelton Jr. held on to 2nd, while newcomer Tom Shelton Jr. took the final podium spot. Rounding out the top 6 were Juan Montalvo Jr., Jim Aid, and Craig Stafford, all finishing on the lead lap. SCCA's announced dates for the 2006 National Championship Runoffs® take a page of its own history and return the 43rd running of the classic to a more traditional October date for the first event at Heartland Park Topeka. 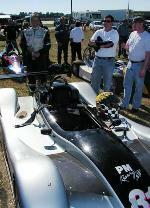 The 24 National Championship Runoffs races will be held Friday, Oct. 13 through Sunday, Oct. 15, 2006. As has been tradition, the event officially commences on Monday, Oct. 9 for practice, followed by three days of qualifications Oct. 10-12 to set the starting lineups. Heartland Park Topeka (Topeka, Kansas) will give Runoffs participants a first look at the Runoffs-only track configuration during the promoter test week, Oct. 1-8. In addition to the date announcement, SCCA, with assistance from the Topeka Convention and Visitor’s Bureau, has arranged special “SCCA” rates from Oct. 1-15 with many area hotels. The downtown Ramada Inn has been selected as the Official SCCA Event Host Hotel, offering rooms and a complimentary breakfast for a standard rate of $75 plus tax per night. Executive Rooms ($85) and suites ($135) are also available. Reservations may be made at any time through the hotel (800) 432-2424, and rates are guaranteed through Sept. 1, 2006. Several other area hotels have locked in an “SCCA” rate, although some offer different packages with each rate. A list follows this release, and hotels should be contacted directly for complete details. In addition to hotel accommodations, Heartland Park Topeka will also provide racers, workers and spectators ample family-friendly camping opportunities during Runoffs testing and competition. The SCCA National Championship Runoffs® is the annual championship event for the nation’s top amateur road racing drivers, and is regarded as the “Olympics” of motorsports. Featuring more than 700 participants annually, the weeklong event marks its 42nd running this September, with the SCCA National Championship Runoffs Presented by Kohler at Mid-Ohio Sports Car Course. For more information about the SCCA National Championship Runoffs, please visit www.scca.com. 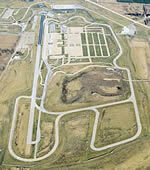 For more information on Heartland Park Topeka, log on to the track’s website at www.hpt.com. Additional hotels offering SCCA rates for the 2006 SCCA National Championship Runoffs. All listed prices are per night and do not include tax. Links to all area hotels are available through the TCVB Web site at www.topekacvb.org. Mark Jaremko, of Spokane, Washington, opened a huge lead early in his Lee Stohr Cars/Goodyear/Red Line Stohr WF1 and went on to win the D Sports Racing portion of the 2005 National Championship Runoffs® Presented by Kohler by over 30 seconds. Rod Morley, of Provo, Utah, finished second, and Matthew DiRenzo, of Medford, N.J., was third. Dashing away from the very start in his pole position, Jaremko opened an 11-second lead over the rest of the field by Lap 3, utilizing a new DSR race lap record time of 1:21.606 (100.581 mph) to bolt from the other drivers and eventually take the win by 34.880 seconds. The record mark was almost two seconds faster than the previous best set by 2004 DSR Champion John Hill. The 2005 Championship gave Jaremko, who was the fastest car in DSR all week, his third title in the past four years. And even though he made his third win look easy, Jaremko said things were far from it. “After about five laps I lost my clutch,” Jaremko said. “That made it cumbersome to downshift. I drove hard for the first five laps and built a lead. Then I looked in my mirrors, backed off and conserved my tires. This is a brand new car, the latest from Stohr. It turned its first wheel here this week. It made life easier for me." Steve Shelton, of Fort Lauderdale, Fla., finished fourth, and Matthew DiRenzo, of Medford, N.J., completed the top five. No. 40 James Boehm, of St. Louis, Mo., won the Sunoco Hard Charger Award for advancing nine positions to finish 12th after starting 21st. 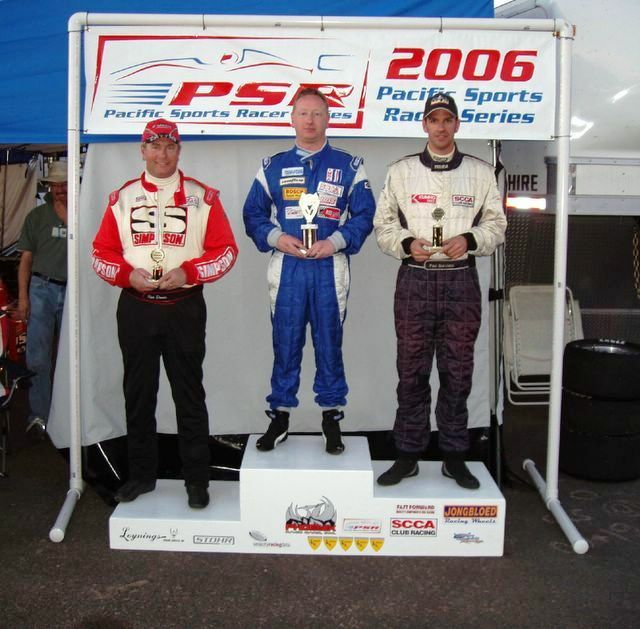 Arnie Loyning, of Portland, Oregon, captured his first National Championship today, taking the C Sports Racing class win at the 2005 SCCA National Championship Runoffs® at Mid-Ohio Sports Car Course. Eric Vassian, of Atlanta, Georgia, claimed the silver medal after starting forth, and Bill Goldkind, of Holbrook, New York, completed the top-three after starting in the eigth place slot. Driving the No. 27 Loyning Engine Service Swift Viking, Loyning and polesitter Jacek Mucha went side-by-side into the opening turn. The two made contact in the esses resulting in Mucha off course, with third place starter Rennie Clayton also caught up in the incident. After making contact, Loyning continued, holding the lead ahead of Jeremy Treadway, who moved up from his seventh place starting position. Battling for the lead with Loyning, the duo ran nose-to-tail for several laps, before Treadway took the lead on lap four. After briefly falling back, Loyning closed the gap and began looking for a way past Treadway. Entering the esses on lap 10, Loyning got alongside Treadway and retook the lead. Immediately after relinquishing the lead, Treadway slowed and pulled off-course. With a lead of over the 20 seconds, the best battle on course was for second between Mike McGinley and Richard Cottrill. Having secured the position, McGinley spun off-course on lap 17 and making contact with the tire barrier. Unchallenged to the checkered flag, Loyning crossed the start/finish winning by 37.969. Thirteenth place starter Richard Cottrill, of Longmont, Colorado, finished fourth, and tenth place starter Jim Downing, of Atlanta, Georgia, completed the top-five. Jeremy Treadway confirmed the previous rumor of his participation by entering the New Hampshire National on the weekend of April 31-May 01. Treadway went on to win the CSR race in a Maloy and claimed $500 in prize money from Phoenix Race Cars, Inc.
Treadway and Stonebridge Sports and Classics LTD of Bethel, Connecticut, began the weekend on Friday by struggling with new engine troubles in their new car. They broke the oil pump shaft for the engine's dry sump while on the way to pit lane for the first test of the Maloy CSR. The Kawasaki ZX-12 was repaired with with "Band-Aid" fabrication at a local shop and the team was back in business. The first qualifying session on Saturday was then used to check out the car during its first time on the track, while the second qual session was sacrificed to instead refine the setup. Sunday's damp practice session provided opportunity for Treadway to gain confidence with slick tires on a damp track. He then used that knowledge to his advantage in the race. The weather also turned in his favor starting wet, but not stay that way, allowing a dry line to form and remain. Jeremy dominated the race from the first lap, besting a Swift Viking and a "tunneled" Stohr CSR. Phoenix Race Cars, Inc. previously announced their $80K contingency prize program for both CSR and DSR class cars. Sports Racer Network's Frappr map!